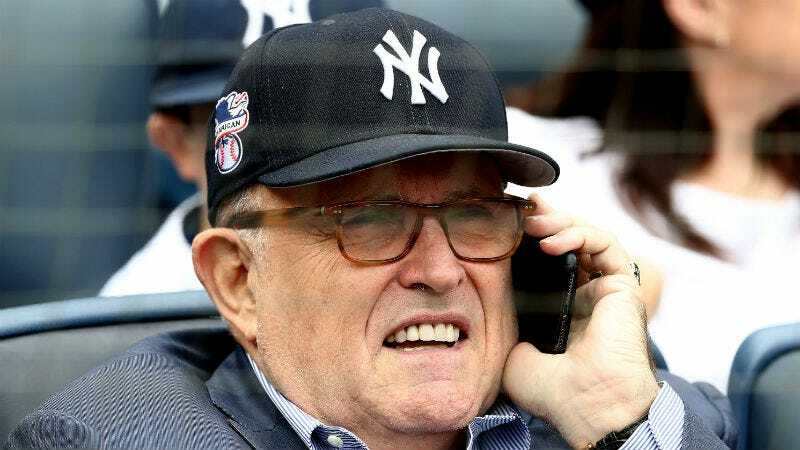 Former New York City mayor and current President Trump minion Rudy Giuliani received a barrage of boos at a Yankee game on Monday. Which was his birthday! A gift for all of us, really. The crowd began booing Giuliani, the kind of reaction that would personally haunt me for the rest of my life. GREATEST CITY ON EARTH, FOLKS!